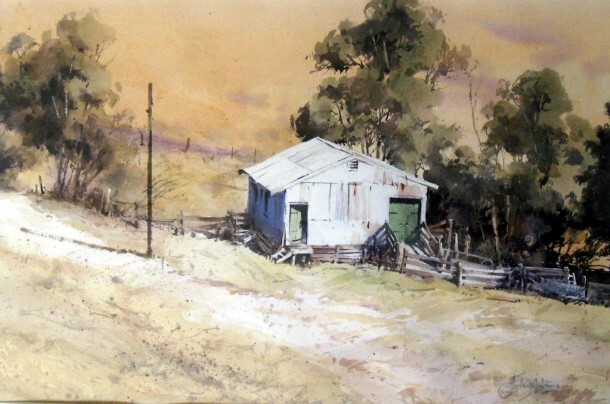 This will be an exciting workshop with one of Australia’s newest watercolour sensations. Julian has been highly recommended for his watercolour skills, subject matter and generosity as a teacher. He is very passionate about water colour and his enthusiasm is infectious. The theme we are adopting for this workshop is “water”. Painting water in watercolour requires a different application of painting skills and a new learning for all of us. Click here for the enrolment form, so get your deposit or full payment in as soon as possible. Class size is limited to 12 participants. It will be 1st in best dressed – that means a deposit paid to the treasurer. If you have any questions please ring Jenny Wallace 02 6026 4800. Painting, Teaching, Workshops, Demonstrations, Judging and an active involvement with the Victorian Artists Society and other Art Societies is his professional domain after many years in Advertising, Publishing and Animation. This has shaped and provided an ongoing joy and appreciation of drawing, design in painting, control and understanding of watercolour and a respect for all other mediums and artistic styles. 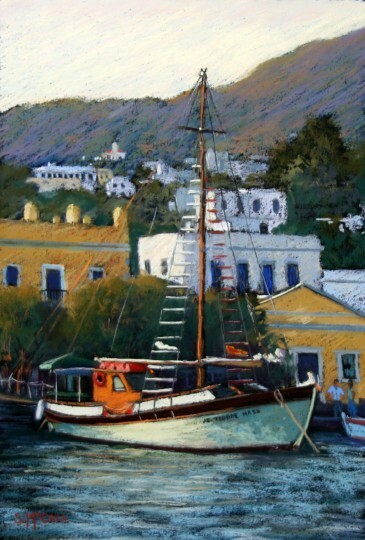 Painting tours of Europe and New Zealand in recent years has provided an ongoing stimulus for his work, particularly landscape and marine painting. He has twice been awarded VAS Artist of the Year, 2010 and 2013, The Kenneth Jack Memorial Award 2010 and 2014 and the AGRA Medallion Winner for 2013, with multiple awards for watercolour in various Suburban and Rotary Exhibitions including Mt Waverley, Camberwell, Yea, Parade, Warrandyte, Alexandra Bacchus Marsh and Box Hill. He is the Victorian Vice President of the Australian Society of Maritime Artists and a past Treasurer of the Victorian Artists’ Society. He is also a member of the Australian Guild of Realist Artists and Watercolour Society Victoria and has recently been elected to the Twenty Melbourne Painters Society.